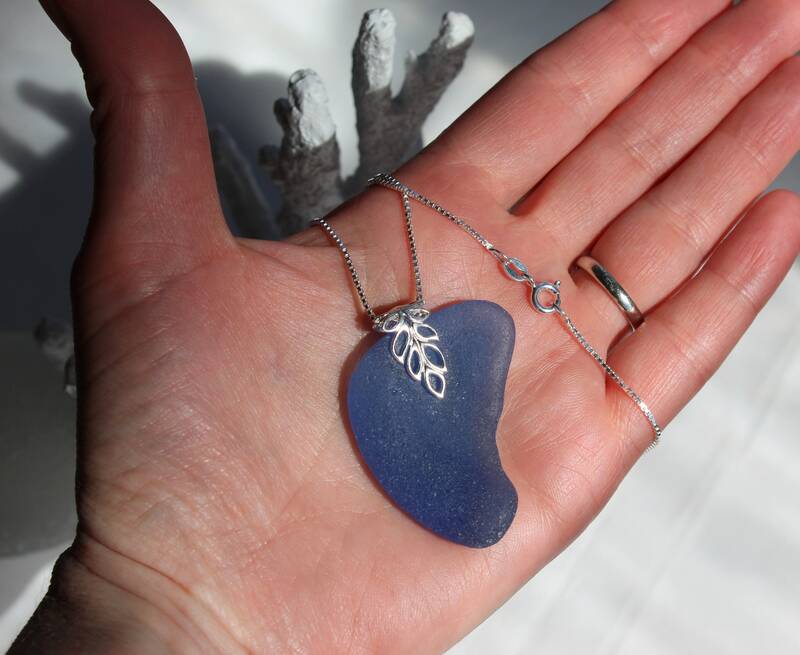 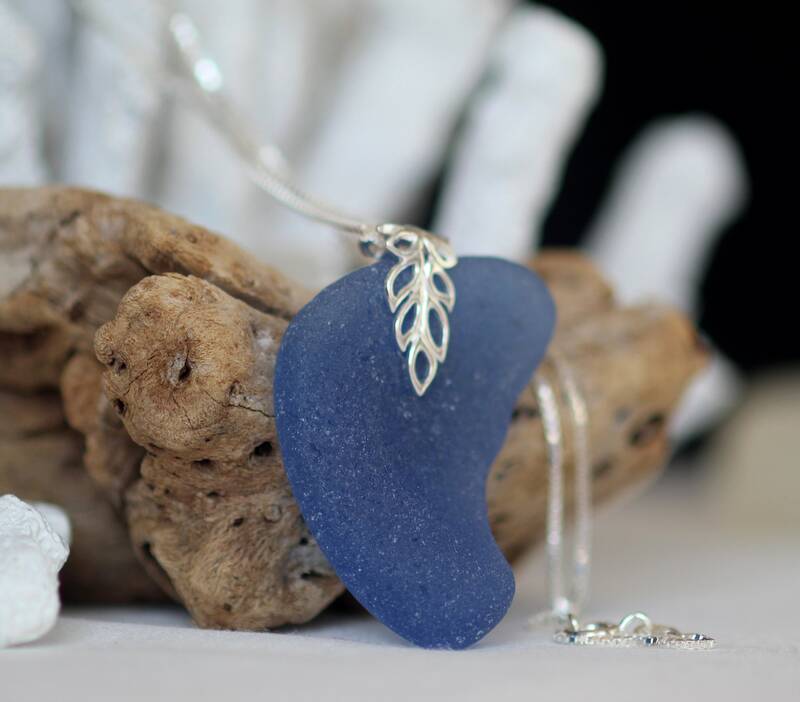 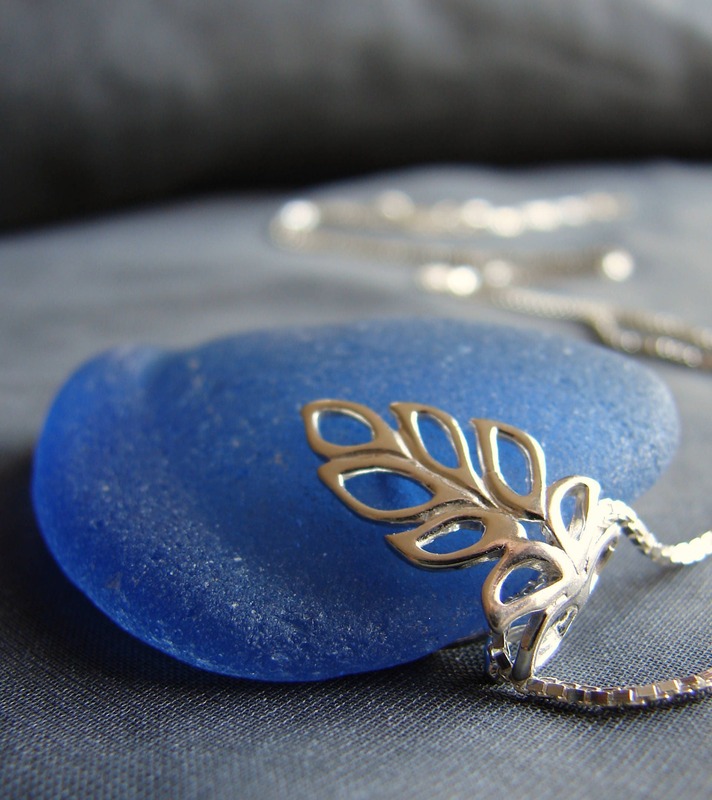 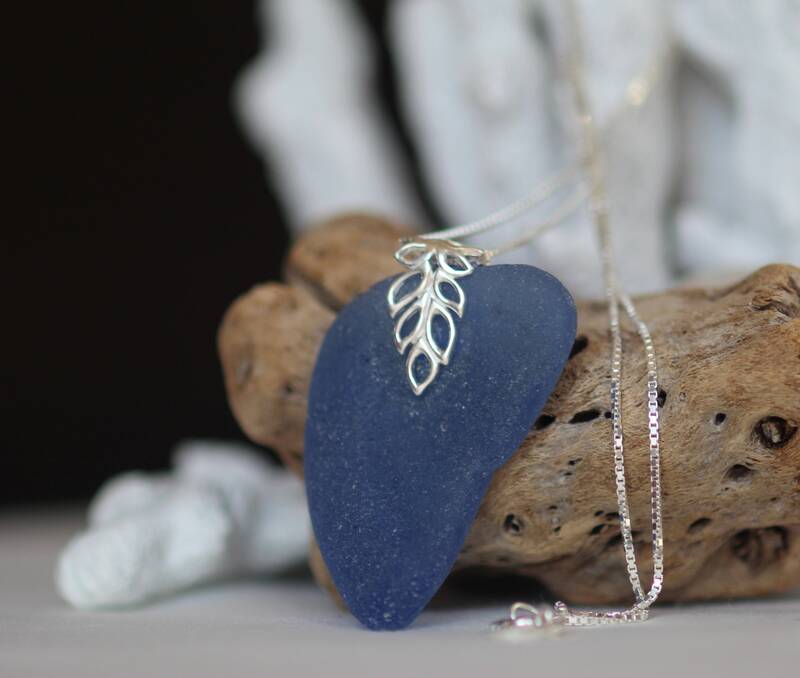 Our Lagoon sea glass necklace is crafted with a large and beautiful sea worn curve of coveted denim blue sea glass, hanging from a sterling silver open leaf bail and chain. 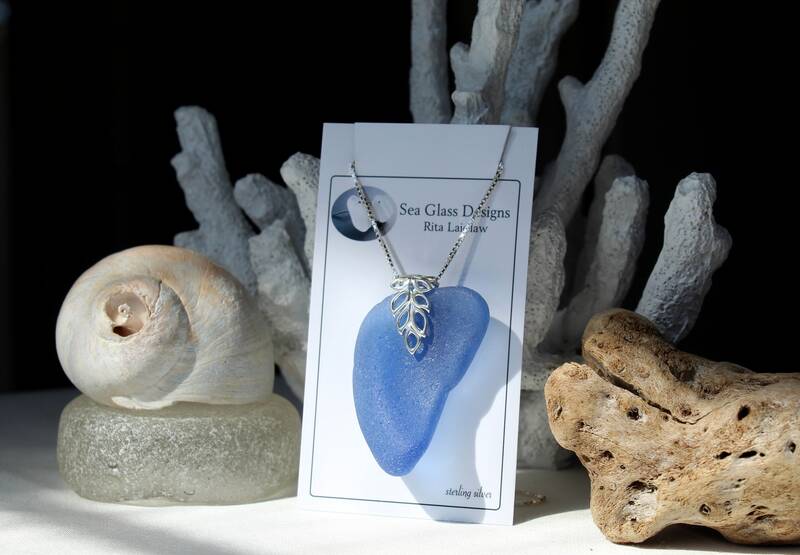 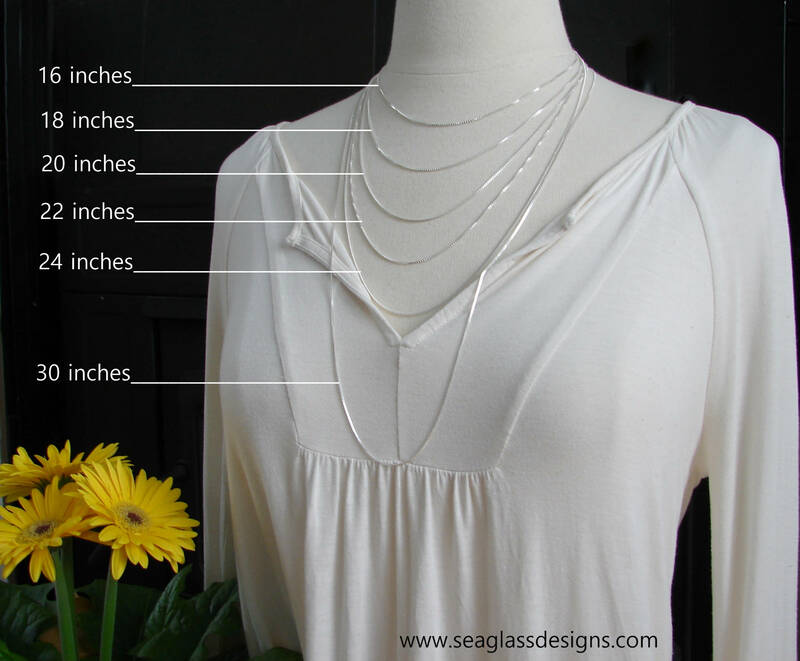 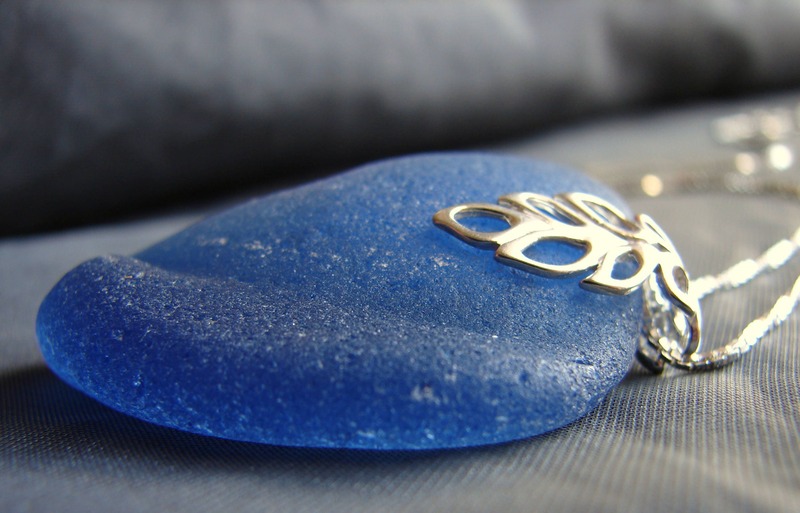 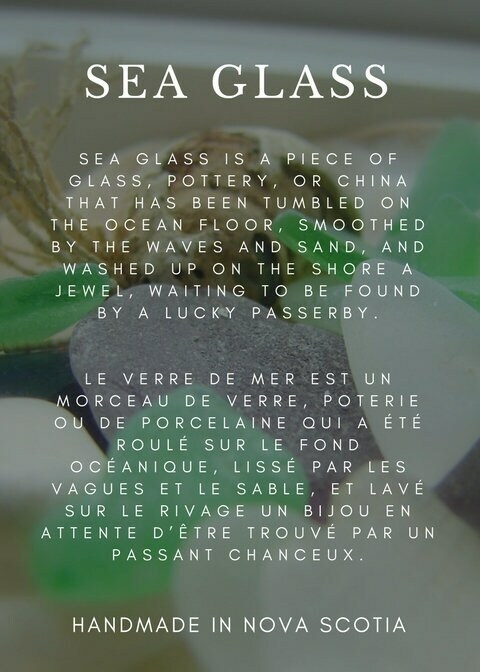 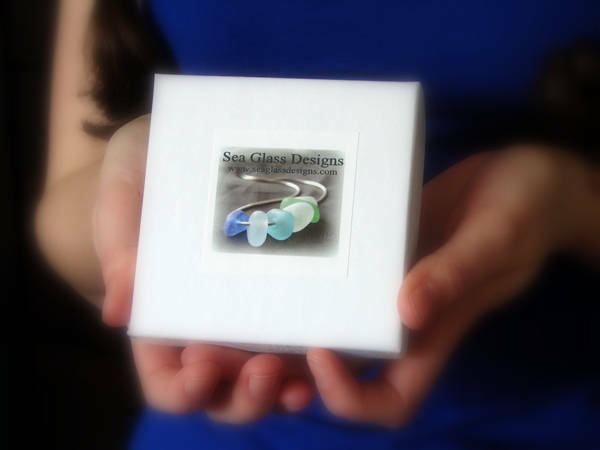 The necklace measures 1 7/8 inches in length, and is both soft and striking, a bit of the sea for you to wear. 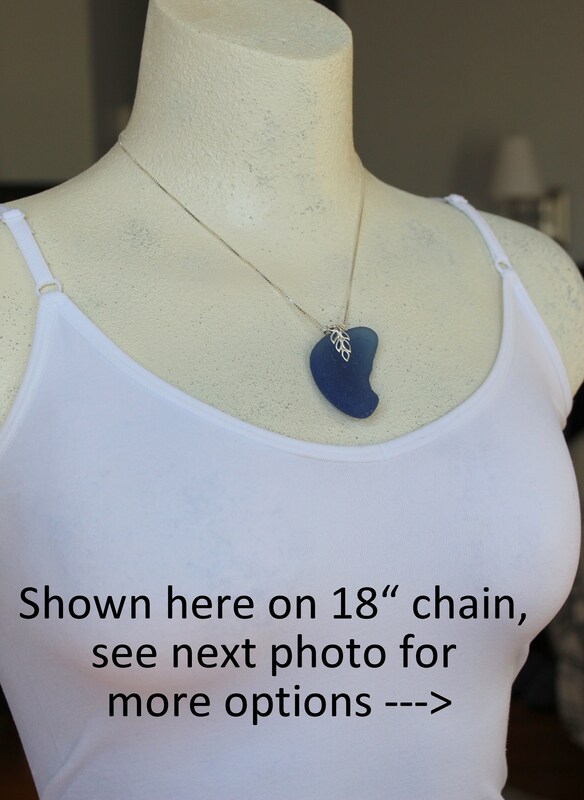 Choose your chain length at checkout- see 7th and 8th photos- so that you can wear your pendant just where you like it!